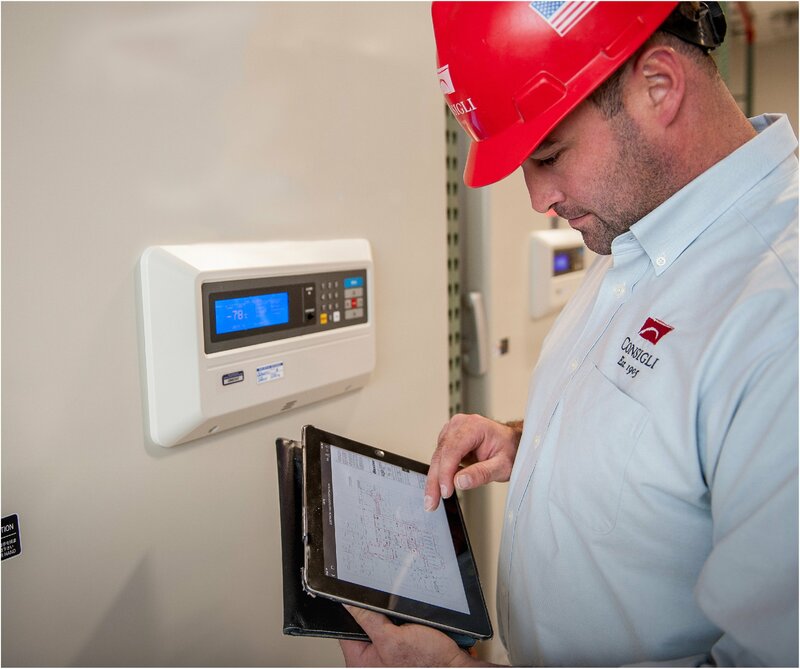 Starting from day one, Consigli takes an intensive approach to deliver every client a quality mechanical, electrical and plumbing (M/E/P) system that guarantees long-term value with lower maintenance and operating costs. Whether it’s the advanced, flexible systems of life science facilities or the sensitive humidity requirements in museums housing priceless works of art–we deliver each M/E/P system knowing it is the core of a building’s life-cycle cost and ensure value that will be felt for decades to come. Our M/E/P team will engage early and deliver key suggestions in design assessments, constructability reviews, equipment coordination and in-depth life cycle cost analysis. Through construction, the team will actively monitor quality and coordination, guided by BIM models providing project information in real time to all team members. Commissioning and closeout are thorough and will support operations and management long after construction is complete.